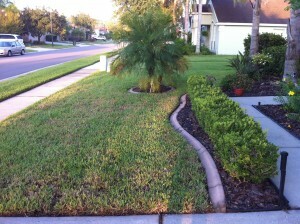 -Non selective you can spray on lawns to help control weeds. 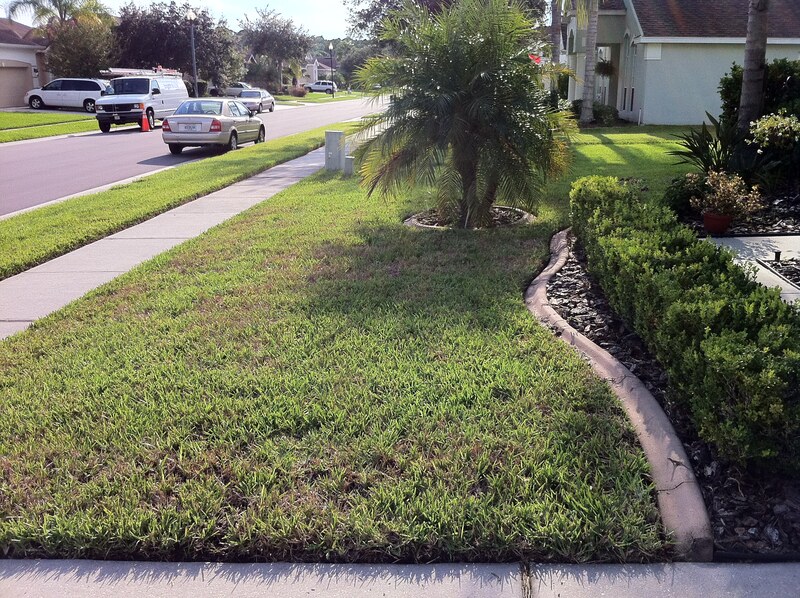 This type of weed control needs to be used with extreme care and caution on lawns. I recommend not using it at all. Use a weed and feed if you are comfortable fertilizing or go with TruGreen to help with weed control in florida yards. 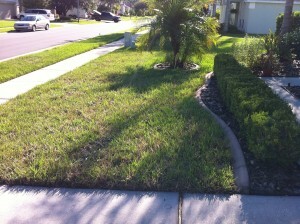 I made the mistake of using too much non-selective weed killer on the front of my yard. Its was a mistake I’ll never make again. After about 3 weeks of waiting to see the result of my non-selective overuse I laid some top soil per advise of Dad, yet I wasnt confident it would come back and I didnt want to wait. I had someone from Drake pest control/lawn service come and give me a professional opinion. They said that the rule of thumb is if a brown patch is greater than the size of a football it would need to be resodded. The next day I made some calls as I was eager to have my lawn fixed. St Augustine sod runs about $1.00-1.20/sf and I had about 600 sq that I nuked. 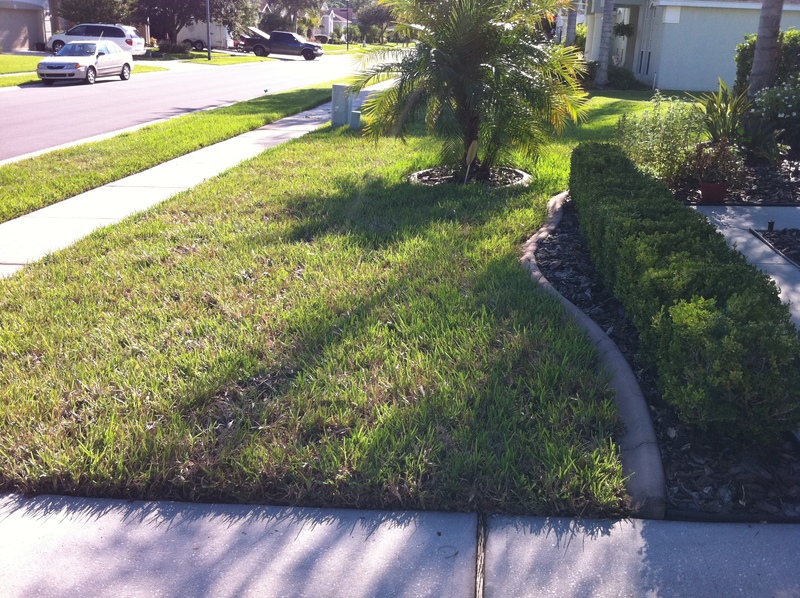 Fortunately I got in touch with groundsourcefl.com right after they completed a big job and the were able to offer me a rate of $0.65/sf. Really happy that my yard is looking decent again. In the next few weeks it should root and start getting green. Live and learn. 30 days after I am satisfied with the Resod. The lawn is still not 100% but I’m confident that it will improve within the next 60 days after more fertilizer and a round of turf builder is applied. Week 4 and 5 after pictures below.